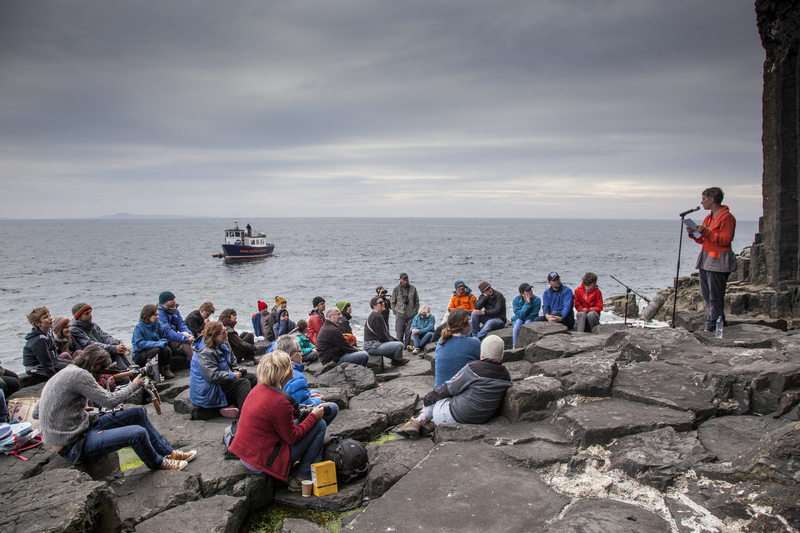 Artist Ilana Halperin invites a small audience on an evening journey to the Isle of Staffa where she will deliver a new, intimate spoken-word performance at the mouth of Fingal’s Cave. Halperin’s title, “Felt Events”, refers both to the term seismologists use to describe earthquakes and to an early body of work she made in 1998 shortly after moving to Scotland from New York. Standing amongst the resounding columnar basalt, Halperin will draw together geological and daily events in what promises to be a singular experience on this island wonder of the world. Working with Sea Life Surveys boat trips, Comar brings you this unique opportunity to visit the Isle of Staffa for this one-off event. The boat departs Tobermory Pontoon, Ledaig, at 2pm, for a performance at 5pm on Staffa, returning around 10pm. Limited spaces available, so book early! You are currently reading FELT EVENTS : NEW PERFORMATIVE LECTURE ON THE ISLE OF STAFFA at geologicnotes.